Home/Best Beaches for your excellent Holiday in Sri Lanka..! 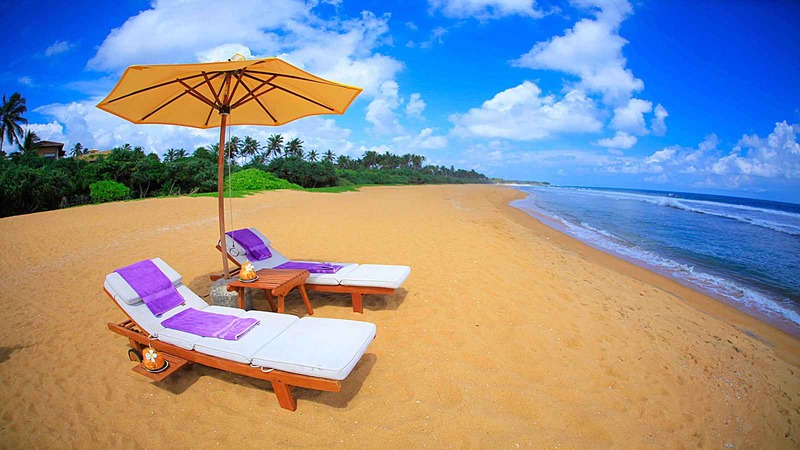 Negombo Beach offers one of the best sandy beaches and hotels and resorts on the west coast of Sri Lanka. It draws tourists who stop over for a day or two on their way to / from the airport. Some quiet stretches of the beach are maintained by the tourist hotels, while others are always busy with fishermen and their equipment. You get lovely sea food in this area. Unawatuna is rich in its biodiversity. Its greatest potential attraction for eco-tourism. With the mangrove, and River safari. Unawatuna beach front has restaurants and has devastated the sandy beach to a great extent, marring the natural beauty of what was once claimed to be one of the twelve best beaches in the world. It is still considered to be one of the best 100 beaches of the world, which is an advantage for Sri Lankans. Kalpitiya is the coastal waters are also home for the spinner, bottlenose and dolphins, whales, sea turtles, Kalpitiya is nominally the best location for Kite surfing in the country. kite surfing season is from May to October during the south west monsoon while the winter season is from mid December to mid February during the north east monsoon. Its a nice place where you can enjoy and relax on the beach.